Home » CONGRESSIONAL RECORD PRESENTED TO ROBERT H. JONES, TRIPLE J ENTERPRISES, INC.
CONGRESSIONAL RECORD PRESENTED TO ROBERT H. JONES, TRIPLE J ENTERPRISES, INC. Tribute to the Jones Family, Triple J Enterprises, Inc.
Hon. 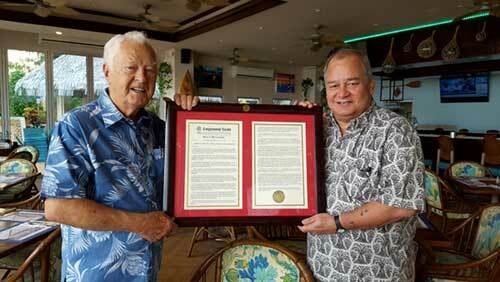 Congressman Gregorio Kilili Camacho Sablan of the Northern Mariana Islands in the House of Representatives presented Robert H. Jones, Chairman & CEO of Triple J Enterprises with a Congressional Record dated Friday, 18 May 2018 recognizing Mr. & Mrs. Jones and the entire Jones family for their remarkable contributions to the growth and development of the CNMI and the Western Pacific through business venture and philanthropical efforts. "I wanted to recognize the contributions of Mr. and Mrs. Jones and their family, to the Marianas and the region," Congressman Sablan said. As residents on Guam and Saipan for over 60 years, the Jones Family continue to support the communities that surround them. On Guam, the Jones family and Triple J partner with the American Cancer Society Guam Chapter annually, and, work alongside the Red Cross Walk-A-Thon and the Make-a-Wish Foundation Guam/CNMI Chapter on Saipan to other youth sports and development organizations on all islands. 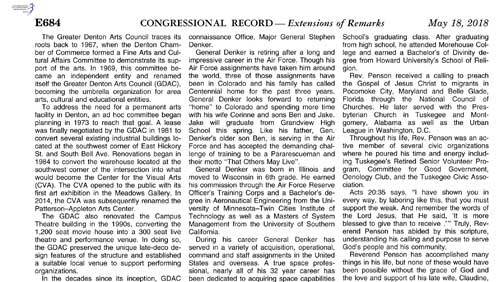 Published by the United States Government Publishing Office, the Congressional Record and its extension of remarks makes note the tribute to the Jones Family, Triple J Enterprises, Inc.